The courses offered at partner high school campuses varies by semester, and are coordinated between the college and high school, including Career-Technical courses. The High Step program is designed for high school juniors and seniors. All concurrent enrollment documents are required, and the Outreach office can facilitate the process with high school staff. starting college while enrolled in high school! earning a maximum of 12 college units in two years. courses conveniently offered at the high school. meeting college and university requirements while still in high school. The enrollment fee, campus center use fee, health fee, and student representation fee are waived for High Step students. Be competitive in the 4-year college and university admission process. Score at the appropriate level in reading, writing, and math. Ability to benefit from advanced scholastic work. 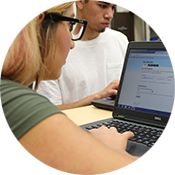 Take the Gavilan College assessment placement test. See your high school academic counselor to determine eligibility. All concurrent documents are required. Fill out a High School Contract with your high school academic counselor. Ask your parent to sign the contract. Register for your class. 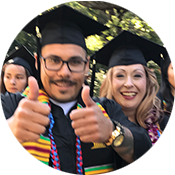 For more information about registration, call the Admissions and Records Office at 408- 848-4735. While courses offered through this program are open to all college-aged students, High Step benefits are only included for those who apply through their area high school. Students must purchase their own textbooks. Visit the Gavilan College bookstore website. If you are unable to afford your textbook please see your high school counselor or principal.